Female MPs and journalists discuss Brexit and the impact of the EU Referendum. Can you be forced to work in heels? And new statues of women steelworkers and Mary Seacole. Jane Garvey discusses the issues around Brexit with MPs Andrea Leadsom, Seema Malhotra and Sarah Wollaston and the journalists Alice Thomson and Helen Lewis. Natalie Reynolds trains negotiators and has advised the UN. What are the key skills needed to get what you want? We meet the women conscripted to work in the steel industry during WW2 as they are finally commemorated with a statue. 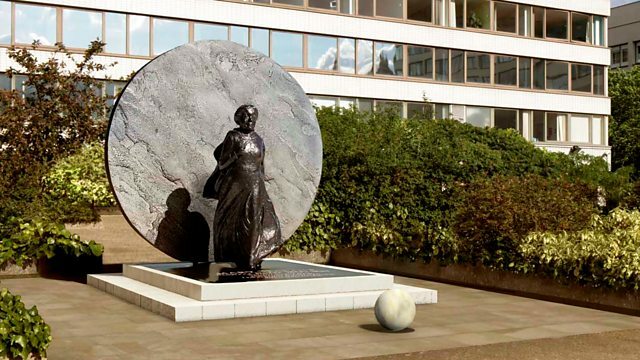 After 12 years of campaigning by the Mary Seacole Memorial Statue Appeal, her statue will be unveiled outside of St Thomas's Hospital in London today. Professor Elizabeth Anionwu, Vice chair of the appeal talks about the life and work of Mary Seacole. The government has launched an inquiry into office dress. On what grounds could women be forced to wear heels to work? Listeners tell their stories of infidelity. How did they cope? And, As Olivia de Havilland turns 100 the last superstar of the Golden Age of Hollywood is celebrated by Jennifer Smyth and Isabel Stevens. Gone with the Wind's Olivia De Havilland celebrates her 100th birthday.